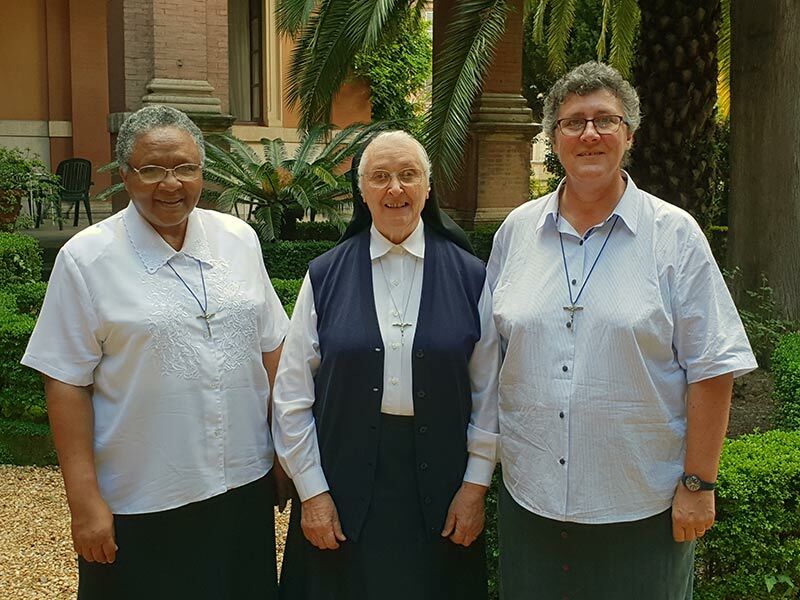 Sister Clare Stanley, Superior General, and Sister Agnes Thevenin, Second Assistant, visit Rome from September 28 to 3 October, 2018. 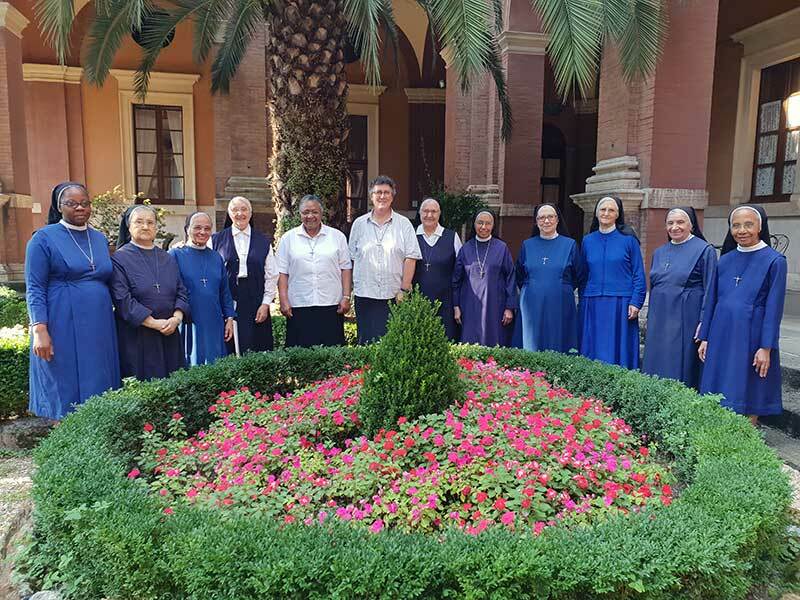 Having been elected Superior General at the recent General Chapter, Sister Clare Stanley had an appointment with Cardinal João Braz de Aviz, the prefect of the Congregation for Institutes of Consecrated Life and Societies of Apostolic Life. Accompanied by Sister Agnes Thevenin, Sister Clare met with the Cardinal on Monday, October 1st. It was a very positive meeting, the Cardinal being both very welcoming and amicable. Sisters Clare and Agnes also took time to visit our two communities in Italy, one in Rome and the other in Sezze. They had a wonderful visit with the sisters. 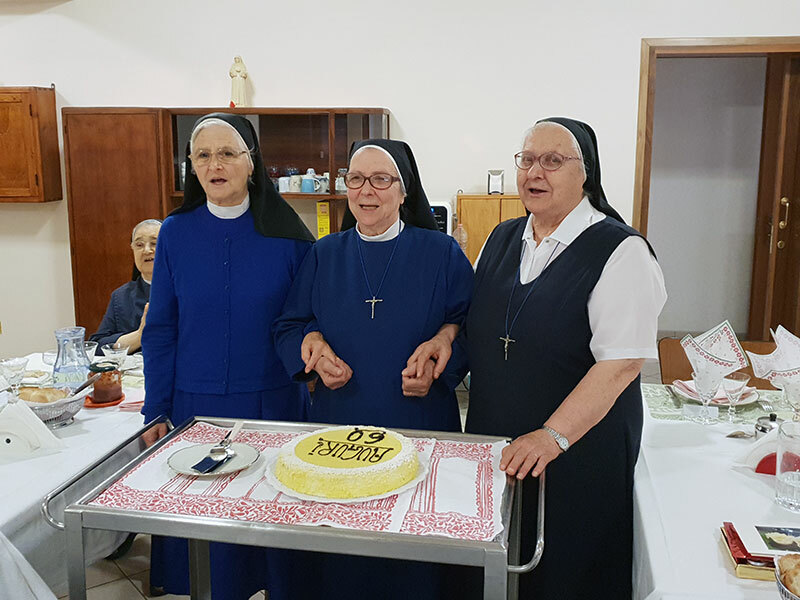 They also took the occasion to share the joy of the three jubilarians, Sisters Flora, Juliana and Maria-Louisa with the celebration of mass and the sharing of a delicious meal. It was also a wonderful opportunity to share with the sisters following the General Chapter of May / June.